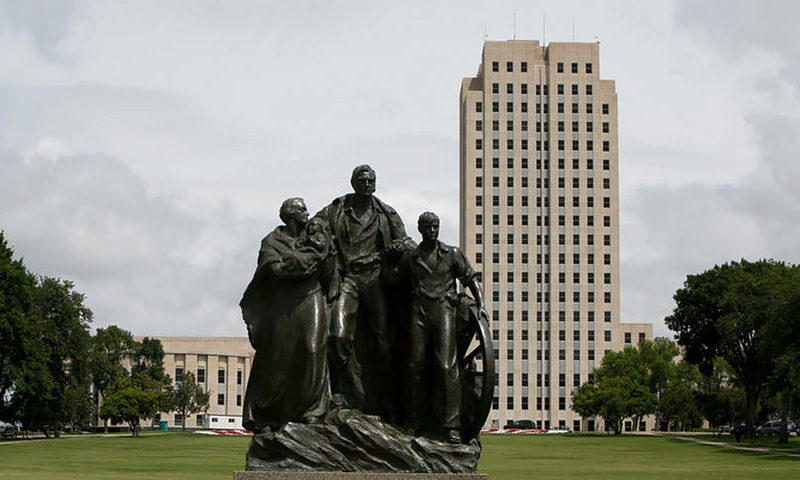 BISMARCK — Legislators and law enforcement officials are closer to a compromise on reforming North Dakota’s civil asset forfeiture laws. The House Judiciary Committee wrapped up testimony Monday morning, Feb. 4, on House Bill 1286, introduced Wednesday by Rep. Rick Becker, R-Bismarck. Becker has sought reform for what he calls a “perverse incentive” for “policing for profit,” with no reporting requirements and standards of proof criticized as too low for seizure and forfeiture of items allegedly involved in crimes. Committee members spent about an hour questioning Bismarck police Sgt. Mike Bolme, who gave opposing testimony. The hearing generally found agreement in transparency or annual reporting of seizures and forfeitures, which current law doesn’t require but some departments track internally. “I like the idea of having some sun, some daylight shining on this process so we have numbers and an idea,” said Rep. Terry Jones, R-New Town. “It’s going to mean one more report for me, which I’m not thrilled about, but if it helps the situation, it’s really not that big of a problem,” Bolme said. Lawmakers also discussed a proposal in the bill that would only allow forfeitures if the person is convicted. Current law allows forfeitures from people who have been neither charged nor convicted. Opponents to the bill say some cases can’t land charges or convictions, such as absconded drug dealers whose cash is seized. “Just you having a large amount of cash, there’s no evidentiary value in that without corroboration,” Bolme told the committee. Donnell Preskey, representing the North Dakota Sheriffs & Deputies Association, testified in opposition but also agreed to some aspects of the proposal, such as annual reporting. “I’m 100 percent confident that we’re going to get a deal on this, on the bill,” Birst said. Rep. Kim Koppelman, R-West Fargo, who chairs the committee, appointed a three-member subcommittee led by Jones for further work on the bill. Notices of meetings will be announced on the House floor.